Spinal cord injuries are one of the most severe types of injuries that can be inflicted on an individual. 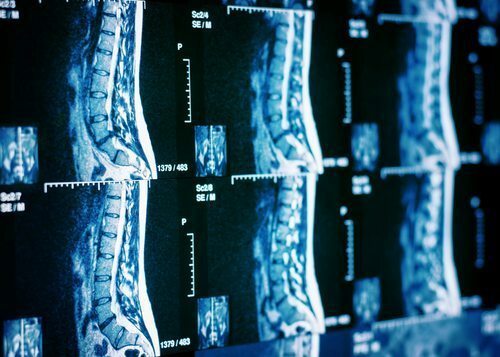 Spinal cord injuries can cause constant pain, paralysis, and even total disability. Here are several common causes of spinal cord injuries and what to do if you or a loved one have been involved in an accident that affected your spinal cord. Statistics show that a majority of spinal cord injuries that occur in individuals over the age of 65 are caused by slip and fall accidents. When businesses and other establishments neglect to keep their property safe for patrons, people can slip on wet floors or icy sidewalks and injure themselves. Sports injuries are another common cause of spinal cord injuries. Football, basketball, and other types of sports can be very dangerous, and collisions or falls during playing can cause serious damage. Car accidents are likely the most common cause of spinal cord injuries. Estimates suggest that as much as 35% of all new spinal cord injuries are caused by motor vehicle accidents. Motorcycle accidents are also a large contributor to spinal cord injuries, particularly in cases where the victim was not wearing a helmet at the time he or she was riding the motorcycle. Violent acts cause up to 15% of spinal cord injuries. The most common violent acts that compromise or injure the spinal cord are gunshot wounds and stab wounds. In some cases, victims of violent acts may be able to obtain compensation for their injuries, in addition to seeking justice through a criminal case. If you or a loved one have suffered a spinal cord injury as a result of an accident caused by negligence, it is critical that you speak with an attorney as soon as possible. If you’re not sure how your spinal cord injury should be handled, consulting with an attorney can help you determine whether or not you will be eligible for financial compensation for your medical bills and lost wages. At Appalachian Injury Law, we understand how devastating spinal cord injuries can be for victims and their families. Medical expenses are often astronomical, and many victims must adapt to an entirely new way of life. It is not uncommon for victims of spinal cord injuries to no longer be able to walk, to work, or even to control their bodily functions. Contact our experienced spinal cord injury lawyers today for a free consultation to discuss your case. We can provide you with the legal advice and support you need to move forward. Call now for an appointment at (706) 515-1995 or toll free at (800) 393-8595. We are available now to assist you. What Are the Signs of a Dog Bite Infection? Can the Right Seatbelts Really Prevent Severe Children’s Injuries?